Blue . Coral . Featured . Green . Hotpink . Lavender . Nail Polish . OPI . Pink . Purple . Spring . Swatches . 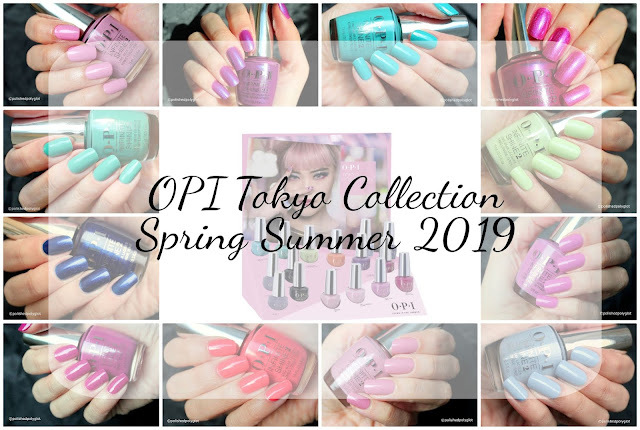 The Tokyo Collection by OPI consists of twelve colour of nail polish, nine incredible creme shades with an exceptionally glossy finish, two gorgeous shimmer shades and one astonishing metallic hot pink ! "In this collection, we are revisiting the 80s and 90s, with pop colors that we’ve given a modern twist, taking inspiration from the famous Harajuku neighborhood. Tokyo brings so much life to this collection, from its eclectic fashion, vibrant nightlife and world-renowned cuisine to the rich traditions including matcha tea ceremonies and zen gardens." I have kindly been gifted the 12 colours of this collection by the brand distributor (thank you!!). 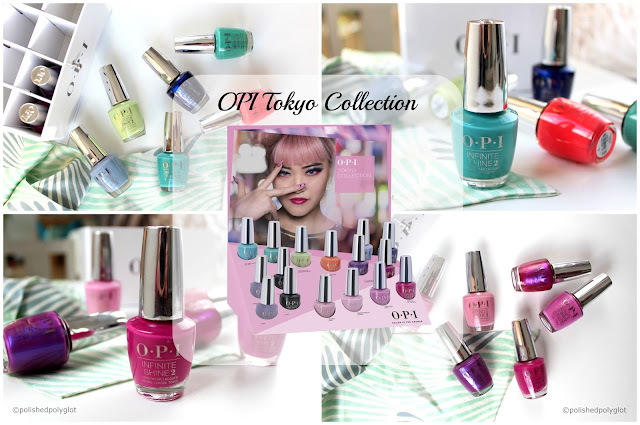 The twelve shades of this collection are available in three formulas: Regular OPI Nail Polish (with black cap), the longlasting Infinite Shine Formula (with Silver cap), and the GelColor formula. 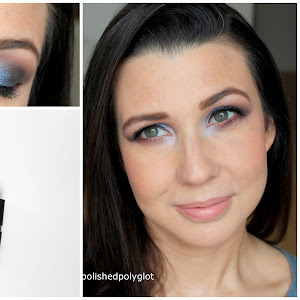 I have swatched the twelve colours in the Infinite Shine formulation. Read about the application experience and quality of the formulation in general further below. This collection is so especial, I don't even know where to begin with to do a round up. It's been very, very long time, since I was this excited about a nail polish collection. There are many pinks, so if you are not a pink lover you might not find this collection your cup of tea, but there are also some unconventional colours which are real gems! All polishes were a dream to apply as usual, they all were smooth, fully opaque in two coats, ultra-glossy without topcoat. I had no difficulties at all, there is a great consistency in the formulation, as all the colours application is very similar. The metallic pink was completely brushstroke-free! A total stunner. The greens and blues are all so freaking beautiful I couldn't pick just one favorite. I don't know how they do it, but when I think to have seen everything, OPI amazes me again! This collection has a huge personality and I'm sure it will be one that remains in the memory of all lacquer lovers. Colours like "Hurry-Juku Get this color", "Kanpai OPI", "Chopstix and stones" or "Suzi-san climbs Fuji-san" are bold and chic at the same time, modern, original and setting the trend! What about you? What are your favourites here?? The Tokyo Collection by OPI will be available from the 14th February 2019 in classic Nail Lacquer, Infinite Shine and GelColor formulas for 6 months at least. There are also two sets of mini polishes in regular and Infinite Shine version! I hope you have enjoyed my review and that this will help you choose your next nail colour! * Press sample. All opinions are my own and 100% honest. I am not remunerated to write my opinion.